These Baptism records are from the National Library of Ireland’s online records. 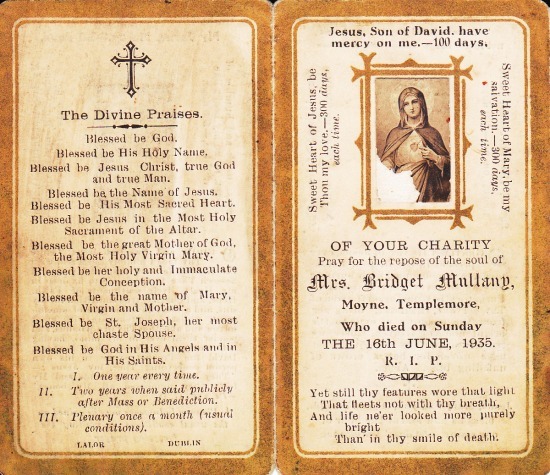 They cover the period 1795 to 1870 in the Parish of Thurles in the Diocese of Cashel & Emly in Co Tipperary Ireland. 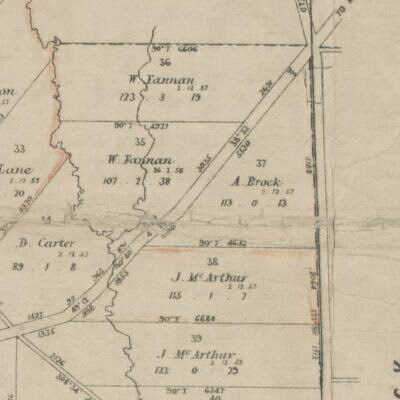 Rootsireland (a very good subscription site) has Baptism records for this parish from 1795 to 1900. I have included records and information from Rootsireland records as well as nli records. I have added some Fanning civil birth records as well. 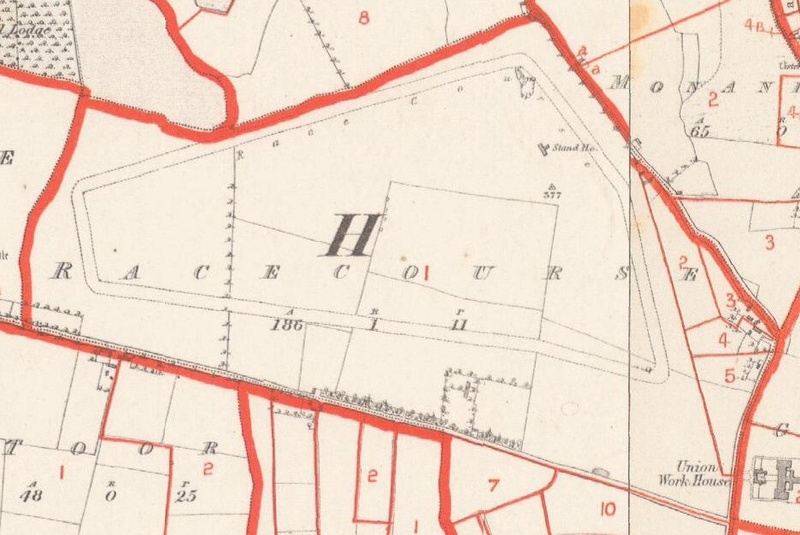 I have added these civil townlands to help me with deciphering any addresses that were added in the early records. Many records have the Christian name written as Edmd. This could be either Edmond or Edmund. I have written it as Edmond. Any entries with an asterisk I know are related to my Fanning family. Where I have not been able to be sure of a name I have put a question mark. 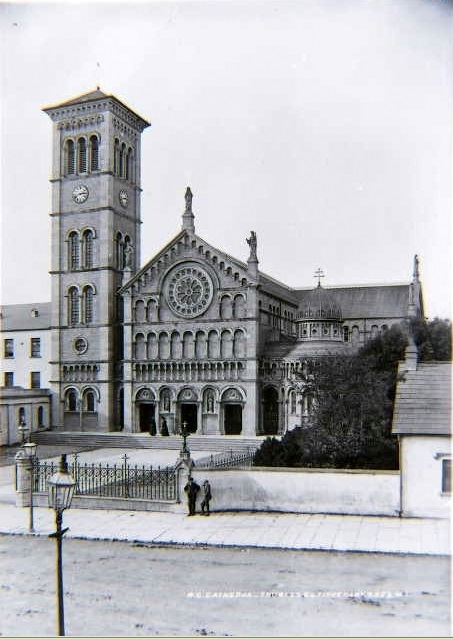 As I recorded the baptisms, there was a very noticeable decline in the number of baptisms in the 1860s, no doubt as a result of the famine and emigration. During the 1850s and 1860s there was a big increase in illegitimate births. 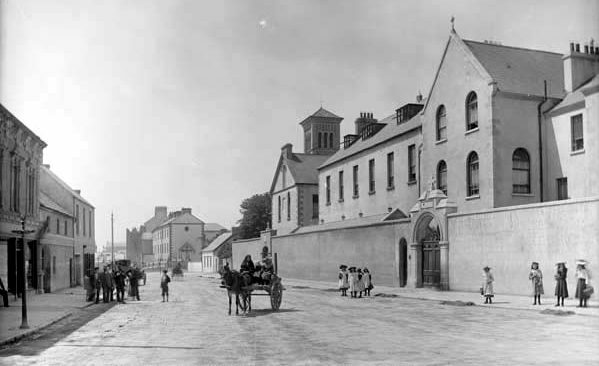 There also were more Protestants and older children being baptised and more foundling babies. 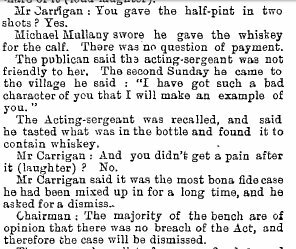 17 Oct 1799, Bryan of Thomas Fogarty & Mary Flinn sp: Michael Callanan & Margaret Fanan? 27 Dec 1800, Margaret of Daniel Cantwell & Catherine ??? Lisheen? sp: John Fannin & Mary ? 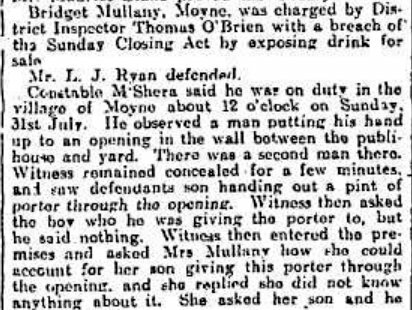 25 Mar 1815, Thomas of Andy Brenan & Jude Fannin, Athnid, farmer sp: Michael Dwyer & Mary Headin? 17 Dec 1822, Michael of Michael Hacket & Margaret Cormack sp: Thomas Fanning & Margaret Farrell? 30 Apr 1823, Edmond of Thomas Stapleton & Peggy Dohan? sp: Patt Fanin & William? Finon? *3? 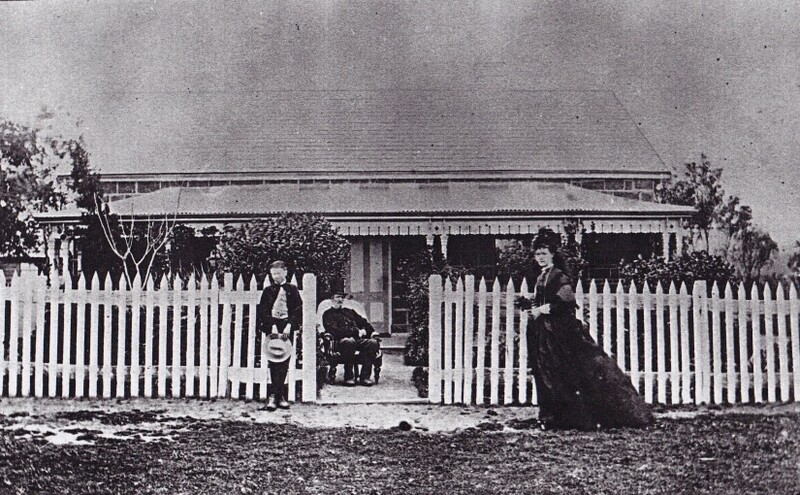 Nov 1824, Edmond of Edmond Fanning & Judy Darmody, Racecourse sp: Philip Darmody & Kitty Aulan?? 10 Dec 1824, Mary of Patt Darmody & Mary Carr sp: Phil Kirwan & Mary Kirwan? 9 Jan 1828, John of Michael Fannan & Biddy Cunningham sp: William Cahill & Margaret Hughes? 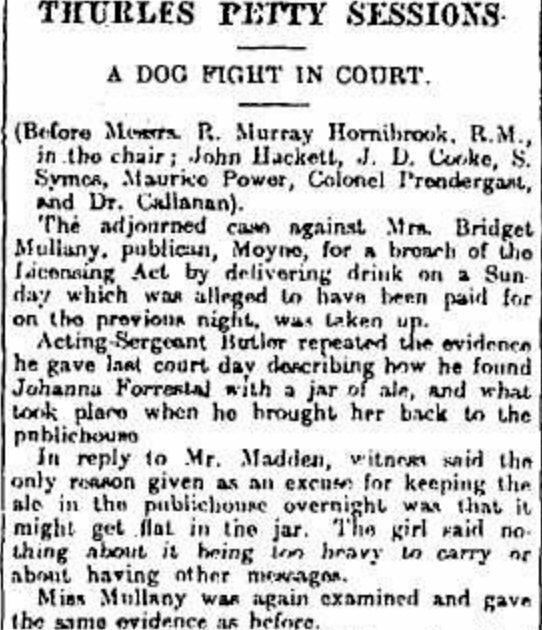 7 Dec 1830, John of Rody Fogarty & Mary Myers sp: Edmond Fannin & Kitty Suniners? 17 Feb 1831, Margaret & Ellin, twins, of Connor Ryan & Sara Darmody sp: James Dulihunty, Kitty Fanning, Michael Fanning & Mary Kennly? 18 Apr 1831, Joseph of Joseph Mills & Mary Evans sp: John Fanning & Joanna Pon? 16 Dec 1833, Michael of Ned Carlin & Honora Kennedy sp: Ed Fanning & Eliza Tynn ? 25 Jun 1835, Anne of James Fanning & Ellen Day sp: Margaret Porman? 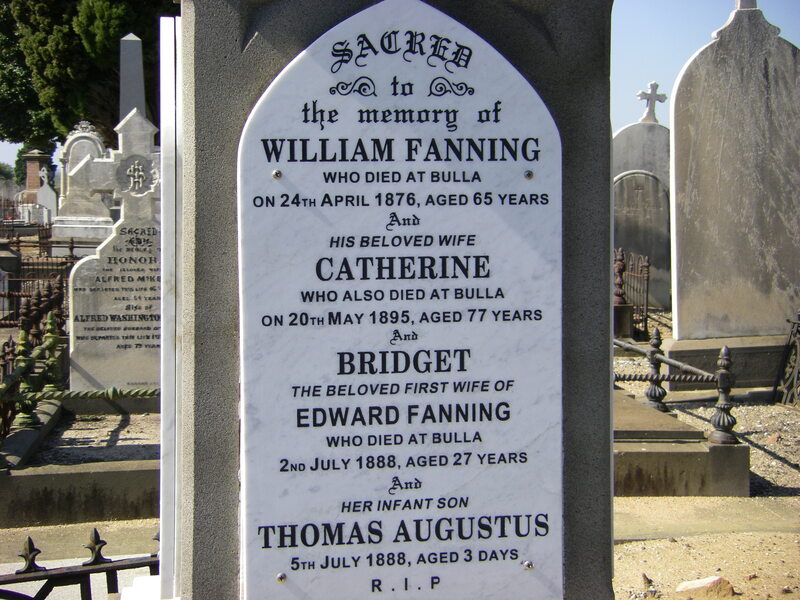 Oct 1835, James of William White & Margaret Cahile sp: Edmund Fanning & Margaret Doohan? 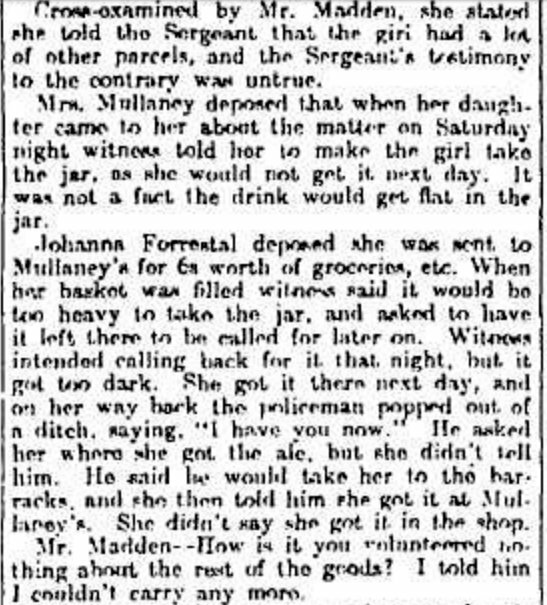 2 Jul 1849, Judith (illegitimate) of Simon Maher & Judy Fanning sp: Gillday?? 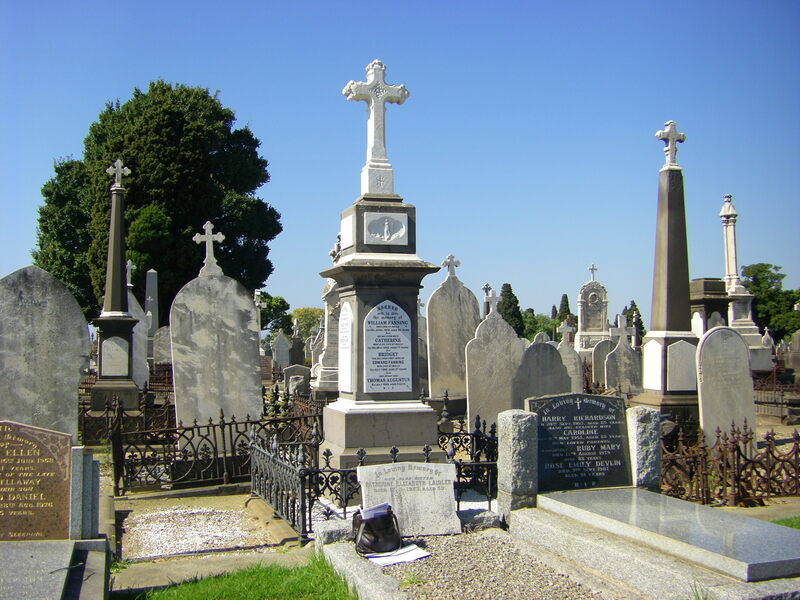 12 Sept 1851, William of Garrett Barry & Hanoria Cleary sp: Edmund Fanning & Joanna ? 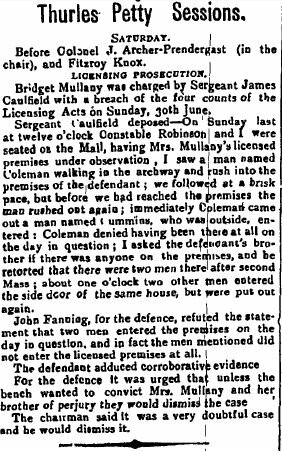 31 May 1857, Jerry of Denis Dwyer & Judy Gleeson sp: Ed Fanning & Amy? Moloughney. Jerry married Mary Sweeney Jan 23 1911. 22 Feb 1861, Ellen of Andy Hoolihan & Mary Maher sp: Patt Fanning & Judy L? 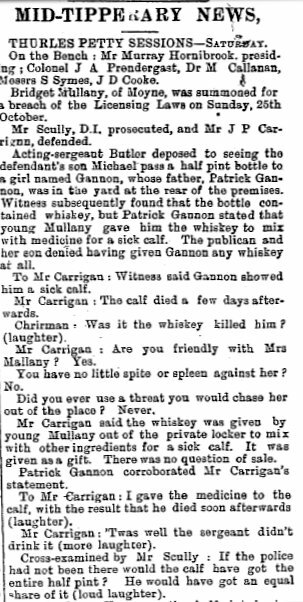 22 Jan 1869, Patrick of Patrick Kelly & Anto Fanning sp: ? leahy & Maryanne Benn? 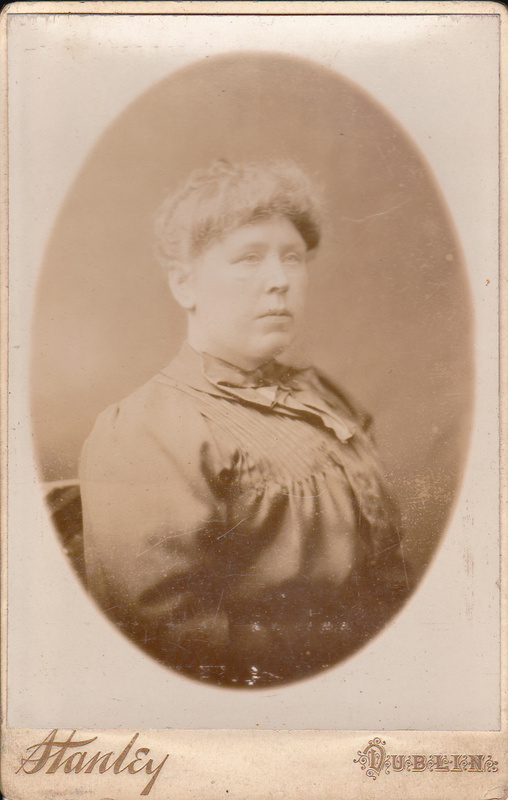 15 Feb 1892, John of Patrick Fanning, coachman of Pudding Lane Thurles & Jane Ryan sp: Sarah Brown. 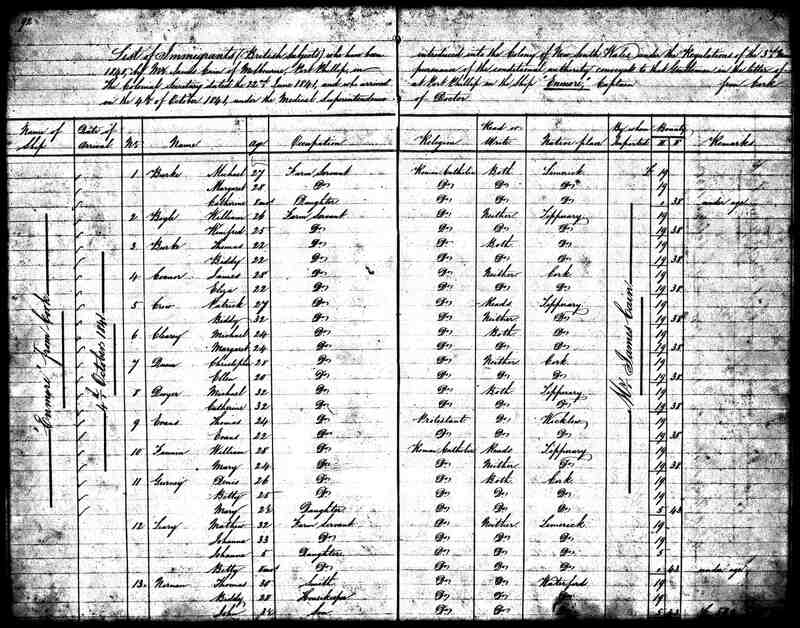 Civil birth record. Birth date 9 Feb 1892. 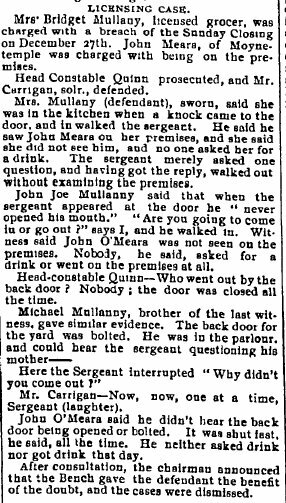 *8 Sept 1894, William Joseph of Thomas Fanning, shopkeeper & Ellen Dwyer Quarry St Thurles, civil birth record, birth date 1 Sept 1894. 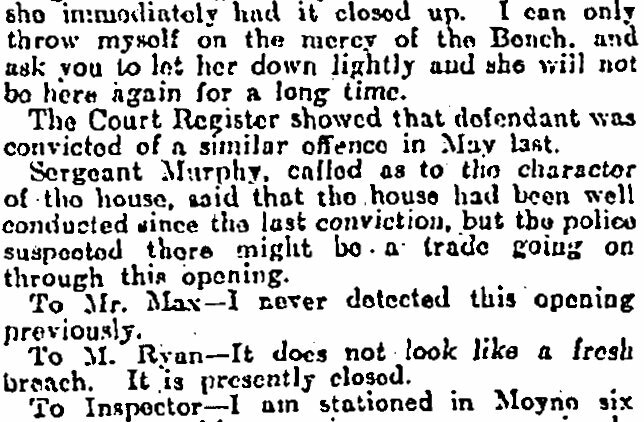 *7 May 1910, William of John Fanning, farmer & Mary Hogan, Clondoty, sp: Mary Fitzgerald. civil birth record, birth date 7 May 1910. 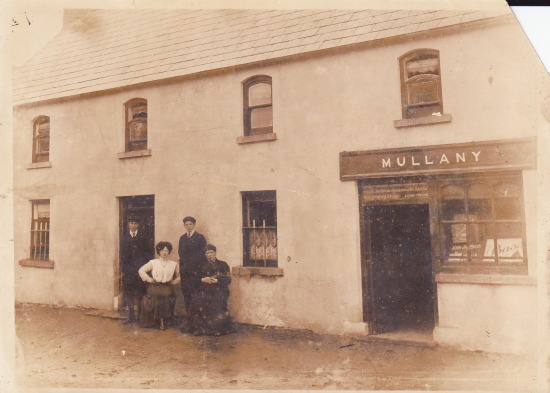 *23 Jul 1910, Michael of Laurence Fanning, shopkeeper & Bridget Fanning, Bouladuff, sp: Mary Fitzgerald. civil birth record, birth date 23 Jul 1910. 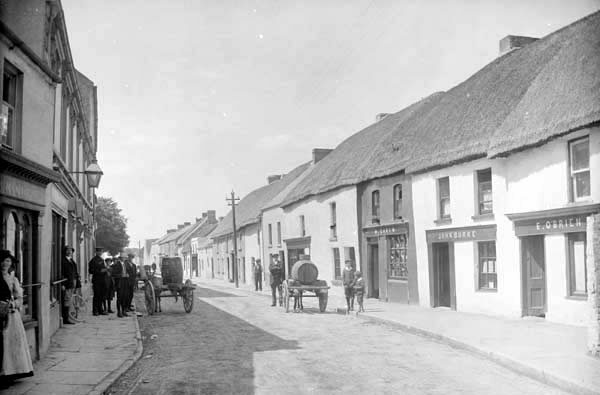 The following marriage records from Thurles Parish in Co Tipperary are taken from the National Library of Ireland parish registers which are online and free and also from the pay site Rootsireland. 13 Apr 1795-18 Nov 1804; 7 Jan 1805-15 Feb 1820; 13 Aug 1822-30 Nov 1833; 17 Feb 1870-30 Apr 1870; 13 Jan 1834-14 Feb 1870. Rootsireland is an excellent subscription service with search options. Makes using the free National Library records much easier. 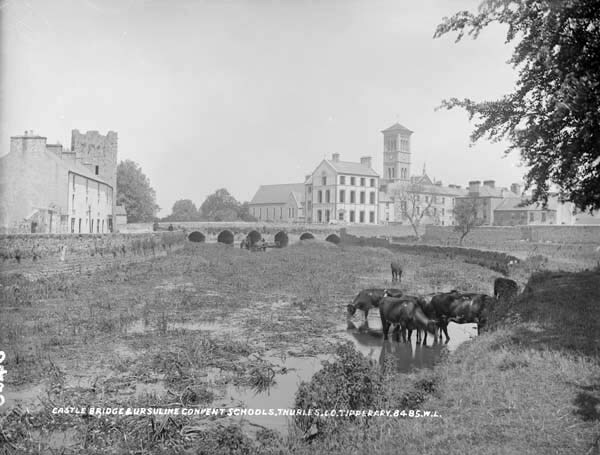 Rootsireland has Thurles Parish marriage records from 1795-1900. I have also included these records. From 1864 there should be a church baptism record and also a civil marriage record. 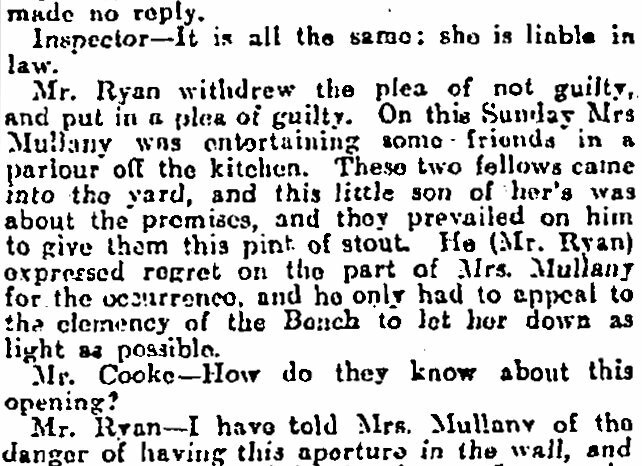 6 Mar 1832, Michael Ryan & Mary Ryan, both of Cassestown, wit: John Fanning & Betty ? 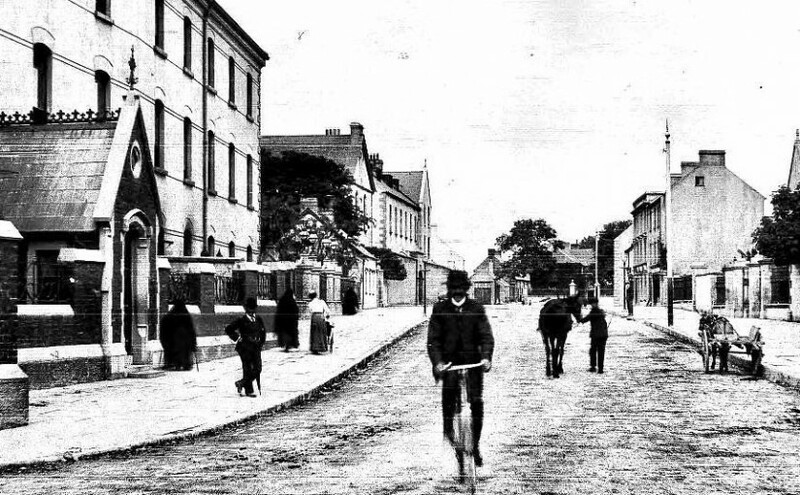 21 Jan 1875, Thomas Fanning of Ballyduff, cattledealer and Anastasia (Anto) Kirwan of New Road Thurles. Thomas's father was William Fanning, a farmer and Anastasia's father was Thomas Kirwan, a farmer. Wit: William O'Connell & Joanna Gleeson. Both previously unmarried. 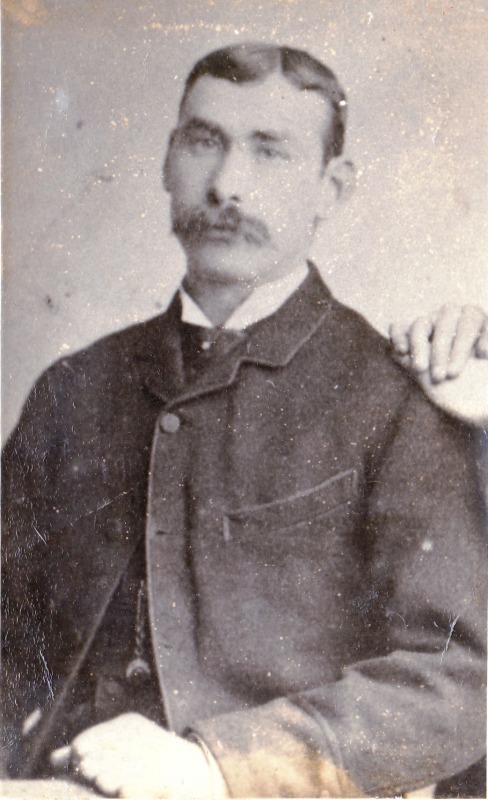 The father of Thomas deceased. Civil marriage record. 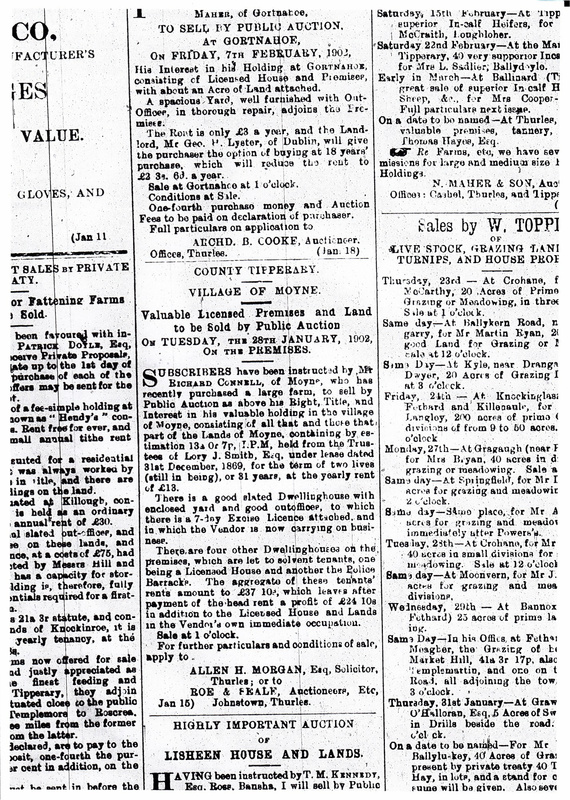 *10 Jun 1901, Michael Fanning, merchant of Lincoln Place, Dublin & Margaret Teresa Ryan, merchant of Main St Thurles. Michael's father was William Fanning, a farmer, and Margaret's father was Patrick Ryan, also a merchant. wit: patrick Fanning & Mary Ryan. Civil marriage record. Edmond Fannin and Johanna Darmody my gggreat grandparents were married in Thurles Parish Co Tipperary Ireland on June 16, 1808. I have just received more information on them from their marriage record from the parish and also from their children’s’ baptism records. On their marriage record Edmond’s address is given as Inch which is consistent with him being a son of William Fannin and Sarah Ryan of Lissaroon, although no parents names are given. William Fannin and Pat Darmody and Judith MacGrath witnessed the marriage. The officiating priest was Rev John Hickey. 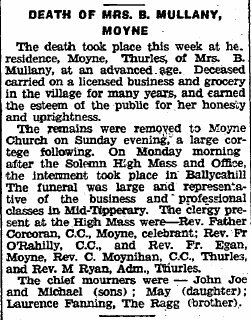 Johanna Darmody’s address was given as the Race Course Thurles. So now I know where she lived before her marriage and where to look for her Darmody family. On the earlier children’s baptism records Edmond’s occupation was given as labourer and their address was Racecourse but in Nov 1813 his occupation was given as farmer and address as Grange. In 1816 his address was also Grange. 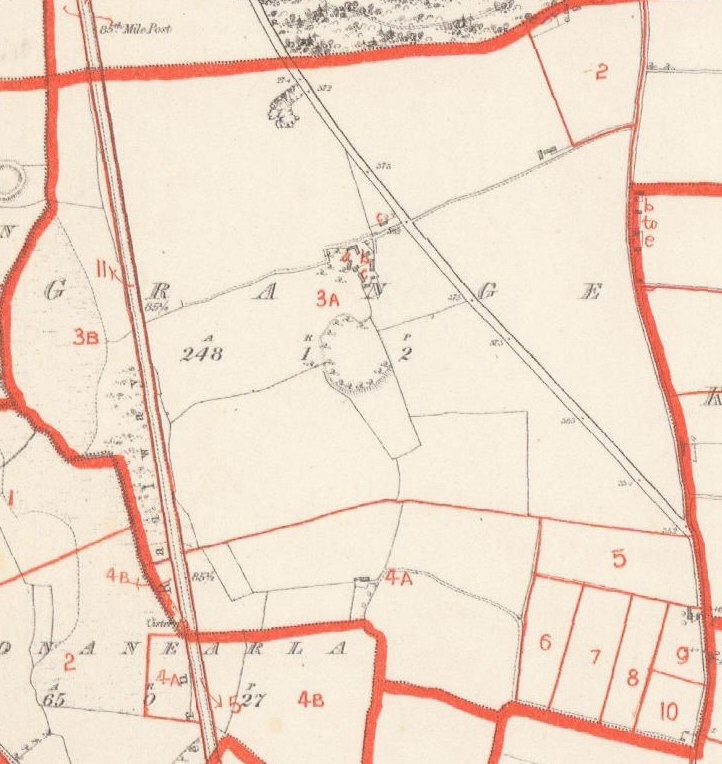 In Griffiths Valuation, printed 1850, there is only one Fanning listed, Edw Fanning (Thurles) plot nine which is land only, a little over three acres, annual value of 4 pounds ten shillings. The Thurles in brackets indicates he lives in Thurles. Don’t know if he is related. 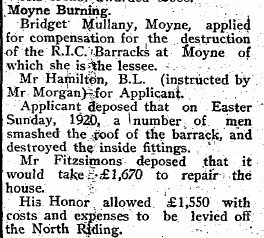 In Racecourse in Griffiths Valuations there are no Darmodys listed in 1850. On the parish registers the surname given for all the children and the father is Fannin with the exceptions of Edmond in 1824, Honora in 1823 and Honora Fanning born 1829. In these records Edmond’s surname is listed as Fanning. In the Tithe Applotment Books 1833 for Race Course there is a Patrick Darmody, Johanna’s father or brother most likely. 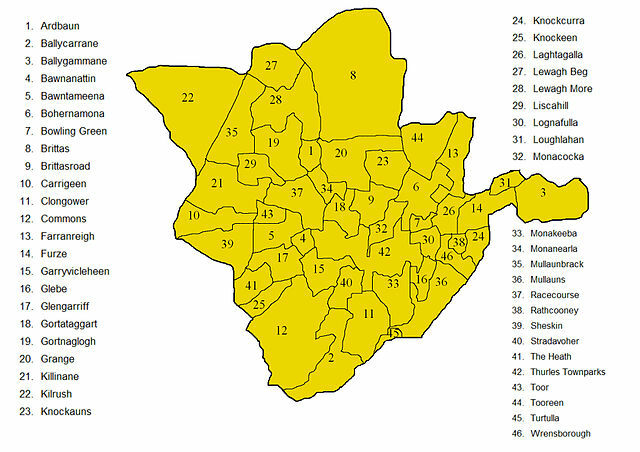 There are also a number of Callinans in this townland. They were often godparents for the children of Edmond and Judy Fanning. In 1809 Edm Callinan was godparent to John Fannin, in 1810 Andrew Callanan was godparent to Michael Fannin, in 1821 John Callinan is a sponsor to Mary Fannin and a Mary Callinan sponsors Patrick Fannin in 1826. Sally Darmody in 1823 and Philip Darmody in 1824 are also sponsors. 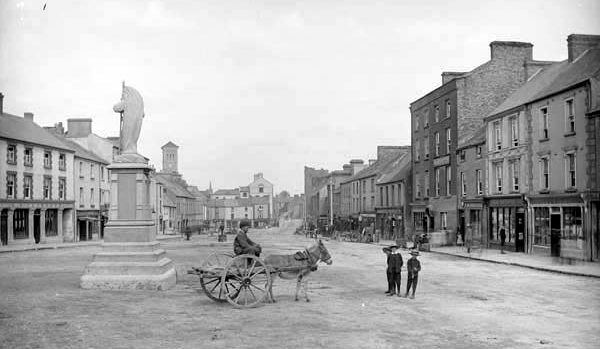 These photos of Thurles in Co Tipperary were taken by Robert French between 1870 and 1910. They are part of the Lawrence Collection in the National Library of Ireland in Dublin. The National Library’s complete collection of Digital Photographs can be found here. You can use the search box to find particular areas in all the collections. 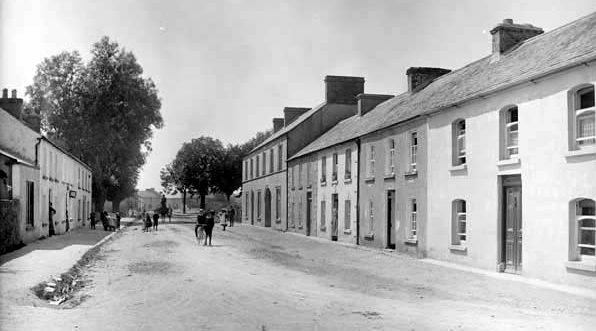 The Fanning families lived around and in Thurles. 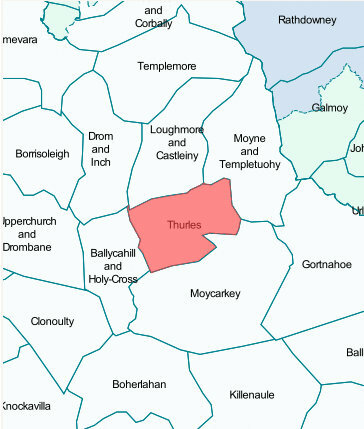 My direct ancestors were all baptised in Thurles Parish. 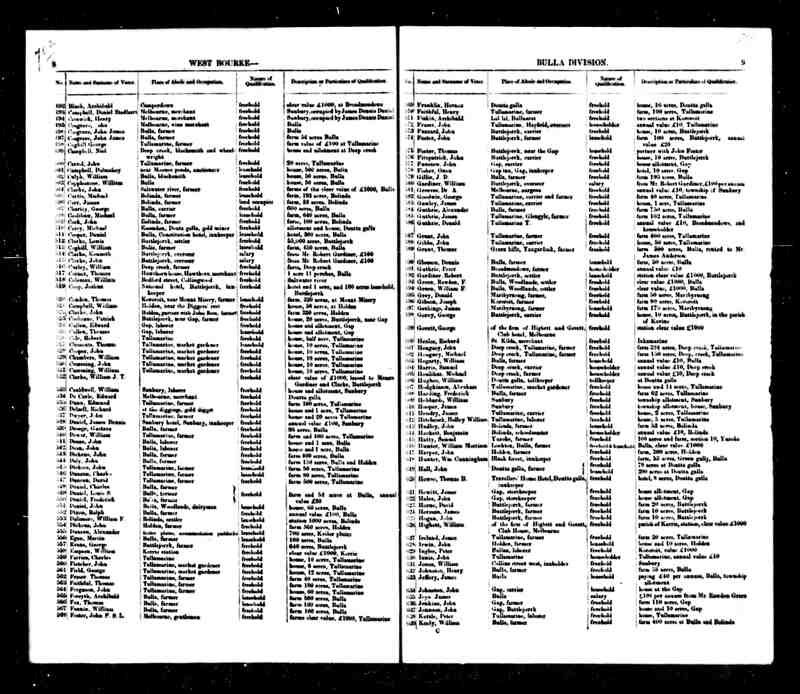 Slater’s Commerical Directory of Ireland 1846 goes through the towns of Ireland alphabetically. It gives a detailed description of the town or city, with post office information and shows the names of nobility and gentry living in or close to the town. The traders of each town are arranged according to their trade. 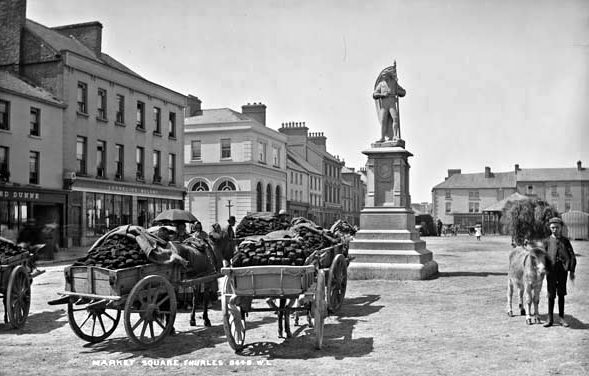 In 1846 Thurles is described in Slater’s as: “an ancient and respectable market town, in the parish of its name, barony of Eliogarty, county of Tipperary, about 90 miles S.W. from Dublin, 46 E. from Limerick, 29 W from Kilkenny, and the like distance N from Clonmel; pleasantly situated on the Suir, along each bank of which the town extends for about a mile. The main street, which is of considerable length, crosses the river, at right angles, from east to west; there are also other streets branching from this, with large and populous suburbs. The knights templars are said to have founded a preceptory here, and possessed themselves of a castle, the latter erected in the early part of the thirteenth century. A castle was subsequently built by James Butler, the first lord palatine of Tipperary, one of whose descendants, in 1535, was created Viscount Thurles: the town now confers the inferior title of Viscount on the Marquess of Ormonde. The old and stately sessions-house stands in the centre of the town, and in an adjoining street has been erected, at the cost of several thousand pounds, a spacious gaol or bridewell, as also a new sessions-house, with commodious accomodation, having a very chaste cut stone front. The town has received many judicious improvements lately, by the agent for Viscount Chabot, the proprietor of the town : new streets have been laid out, and gravelled walks formed- the latter leading to Turtulla, the beautiful residence of Nicholas Maher, Esq. M.P. for the county, form a pleasing promenade. An extensive retail trade and much country business are transacted, and, as the town is surrounded by a rich, fertile, and populous country, the necessaries of life are abundant. Turf bogs in detached situations, and extensive collieries six miles distant, furnish a good supply of fuel. 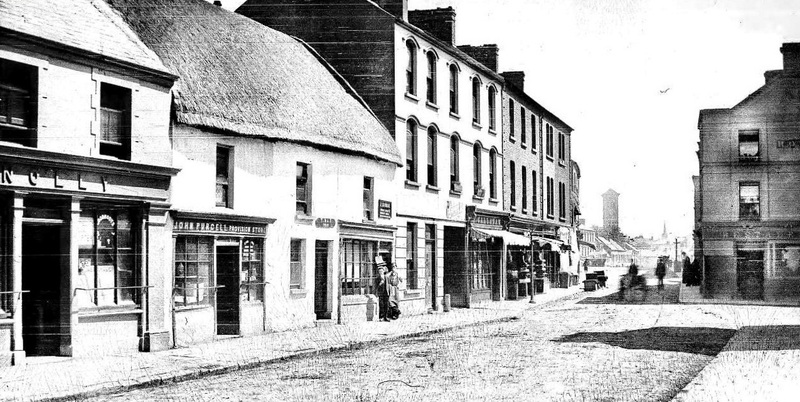 There are, in operation, in the town branch establishments of the ‘National Bank of Ireland,’ and the ‘Tipperary Banking Company.’ The principal inn is Boyton’s Hotel, a most excellently conducted house. The parish church, situated at the east end of the town, is a small but neat building. The Roman Catholic chapel is the cathedral of the diocese and cost 10,000 pounds. 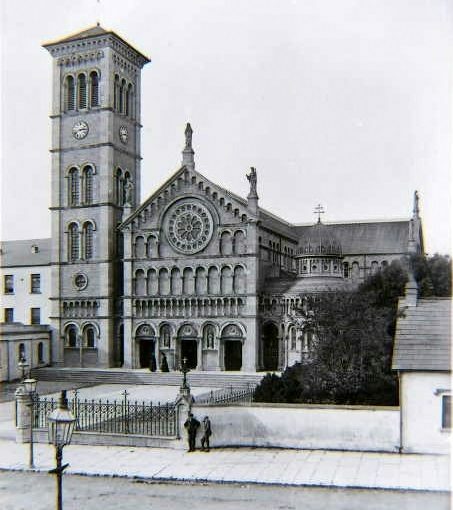 It is one of the finest ecclesiastical buildings in Ireland, and has a noble organ, built by Flight and Robson, of London : the Roman Catholic Archbishop resides in the town. There are two convents, situated near the chapel, in each of which a great number of poor female children are taught needlework and other useful branches of industry, as also reading and writing. In the Ursaline Convent a large number of young ladies from Dublin, Cork, and other parts of Ireland, are received as boarders, and instructed in every polite accomplishment by the nuns of the order, who are eminently qualified for such an undertaking. The house is delightfully situated on the banks of the river Suir, and the gardens are beautifully and tastefully laid out. In this establishment there are twenty nuns, who have a private entrance to a commodious gallery in the chapel, to attend divine service. The Presentation order have an elegant residence, with tastefully laid out gardens, from which they have a communication with the chapel; the present community consists of a superioress and seven nuns. There is also an establishment of monks, who devote their time to the instruction of four hundred boys, on the Lancasterian system, supported in part by public subscription, and funds left for that purpose by the late Most Rev. Dr. Bray, Archbishop of Cashel. The new Catholic College is a sumptuous building, with a centre and wings, the interior being arranged with perfect adaptation to the convenience of the students. The first stone was laid by Dr. Laffan, July 6th, 1829. It forms two distinct establishments, one for ecclesiastical, the other for lay students. The beautiful and interesting ruins of the famous abbey of Holy Cross are distant from Thurles three miles, on the road to Cashel. The account of the origin of this monument of antiquity is, that Murtough, monarch of Ireland, and grandson of Brien Boru, having received from Pope Pascal II, in 1110, a gift of a piece of the cross, covered with gold and ornamented with precious stones, determined to found a monastery, and dedicate it to the Holy Cross, which he began, but did not live to finish. 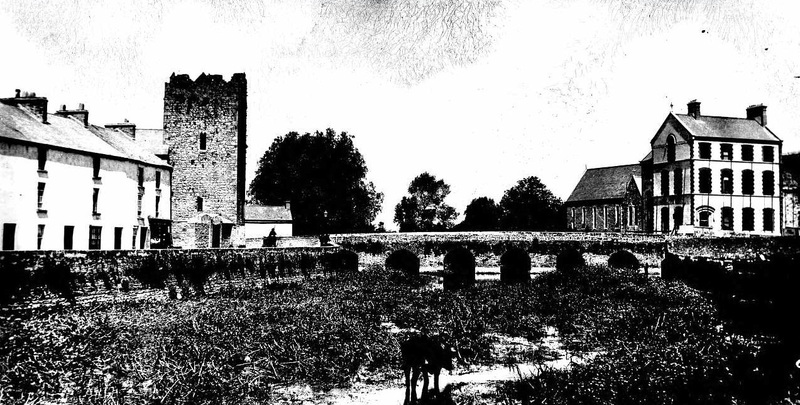 Donald O’Brien completed the Church and abbey in 1169; he was king of North Munster, and his monument is still to be seen. Market days Tuesday and Saturday. 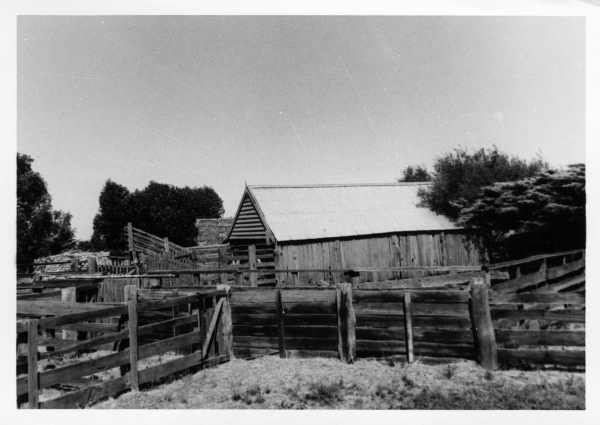 Fairs on the first Tuesday in every month, Easter Monday, August 21st, and December 21st, when there is a good supply of stock, and latterly a tolerable number of horses. 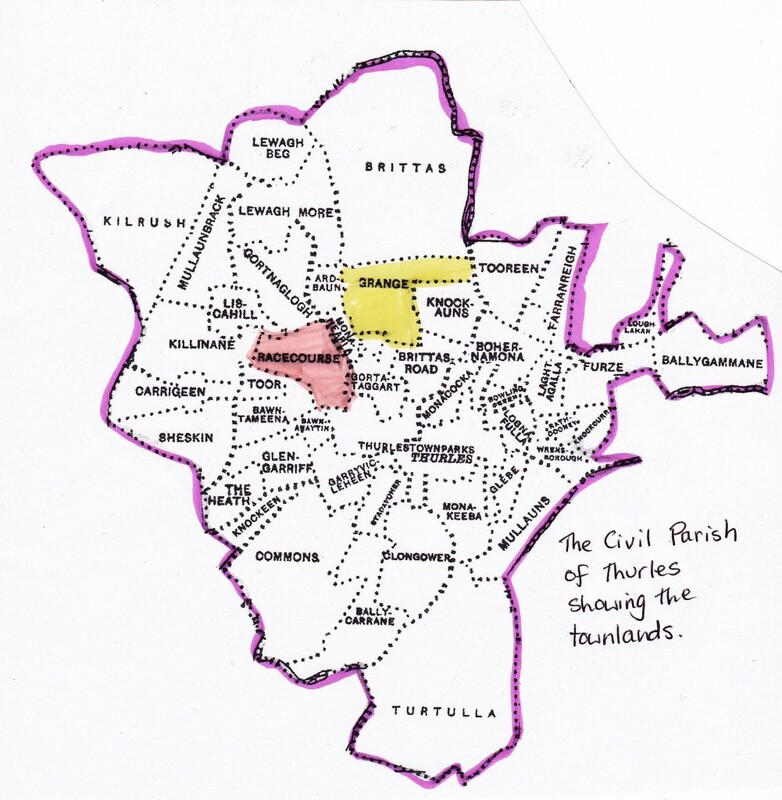 The population of Thurles parish, in 1841, was 10,284, inclusive of 7,523 inhabitants of the town. POST OFFICE, Main Street, Thomas Bourke, Post Master.~Letters from Dublin, Limerick, Roscrea and Templemore, also from England, arrive every morning at twenty minutes before eight, and are despatched every afternoon at four. Letters from Dublin, Stradbally, Abbeyleix, Rathdowney and Templemore arrive every night at twenty-five minutes before eleven, and are despatched every morning at a quarter before four. Next follows a list of Gentry and Clergy, Academies and Schools, Apothecaries, Attorneys, Auctioneers, Bakers, Banks, Blacksmiths, Booksellers & Printers, Boot & Shoemakers, Brewers, Butchers, Carpenters, China, Glass & Earthen-Ware Dealers, Confectioners, Coopers, Corn Dealers, Dyer, Grocers, Hotel, Ironmonger and Hard -Waremen, Leather Sellers, Linen & Woollen Drapers and Haberdashers, Millers, Milliners & Dressmakers, Painters and Glaziers, Pawnbrokers, Public Houses, Saddlers and Harness Makers, Stone Masons, Surgeons & Physicians, Surveyors, Tailors, Tallow Chandlers, Tanners and Curriers, Tobacconists, Veterinary Surgeon, Watch & Clock Makers, Wheelwrights, Wine and Spirit Dealers Woollen Drapers. Under miscellaneous are listed a cabinet maker, slater, coroner, collar maker, stone cutter, civil engineer, rag dealer, gardener and seedman, maltster, distiller, clerk to the petty sessions, master extra in chancery and commissioner in the law court, and a gunmaker. 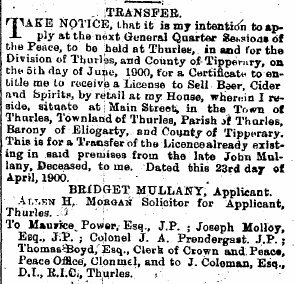 In Pigot’s Directory for 1824 Thurles is described as “an ancient and very respectable market town distant from Dublin 70 miles, from Kilkenny, by the mail road, 23 miles, from Limerick 36, and from Clonmel, by the mail road 23 miles. It is pleasantly situated on the river Suir, and extends on each bank, to the distance of an English mile. The main street is one hundred and ten English perches in length, crosses the river at right angles, from east to west, and forms a large open and regular street, 170 feet wide at the west end, and regularly decreasing to 85 feet at the bridge; on the other side of the river it is 72 feet wide, from the bridge to its eastern extremity; there are also other streets branching from the main street with large and populous suburbs. An extensive retail trade and much country business are transacted, as the town is surrounded by rich, fertile and populous country. The necessities of life are abundant. Turf bogs in detached situations, and extensive collieries, six miles distant, afford a good supply of fuel. The ruins of seven castles were to be seen within the last twenty years; there are at present the remains of three, with those of a large mansion , lately the residence of the Landaff family. In 1300 a monastery for Carmalites or White Friars, the tower which still exists, was founded here by the family of Butler. This town gave the title of Earl to the noble family of Ormond. The public buildings are numerous and respectable. A large and stately sessions house stands in the centre of the town, and in an adjoining street has lately been erected, at the cost of several thousand pounds, a spacious gaol, or bridewell. The church is a small but neat building, with a well inclosed yard, and the chapel, which cost 10,000l. 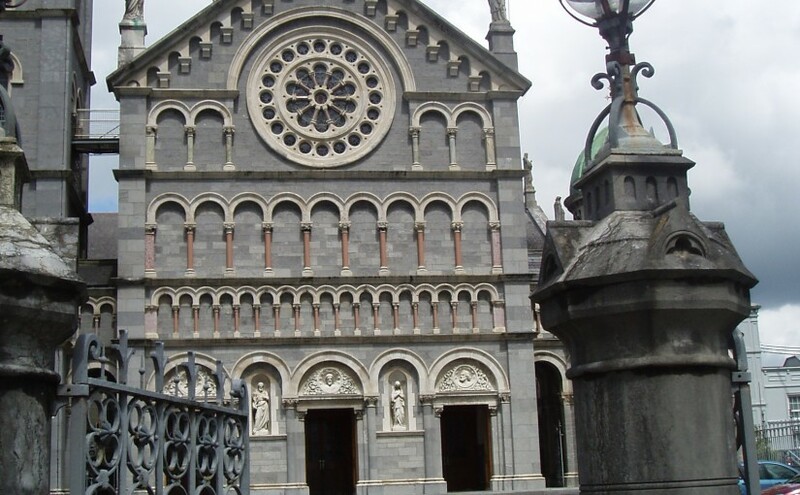 is one of the largest and most handsome structures of the kind in Ireland; the interior is magnificent, and about to receive the valuable addition of an organ. There are two convents, situated near the chapel. In each of which a great number of poor female children are taught needlework and other useful branches of industry, as also reading and writing. There is also an establishment of monks, who devote their time to the instructions of four hundred boys, on the Lancastrian system, and the number is daily increasing; this most benevolent institution is solely supported by public subscription. In the Ursaline Convent a large number of young ladies from Dublin, Cork, and other parts of Ireland, are received as boarders, and instructed on every polite accomplishment. The house is most delightfully situated on the banks of the river Suir, and the gardens are beautifully and tastefully laid out, and enclosed by a wall of moderate height. In this establishment there are twenty nuns, who have a private entrance to a commodious gallery in the chapel, to attend divine service. The Presentation order are about to erect a superior and commodious place of residence; the present establishment consists of a superioress and seven nuns. 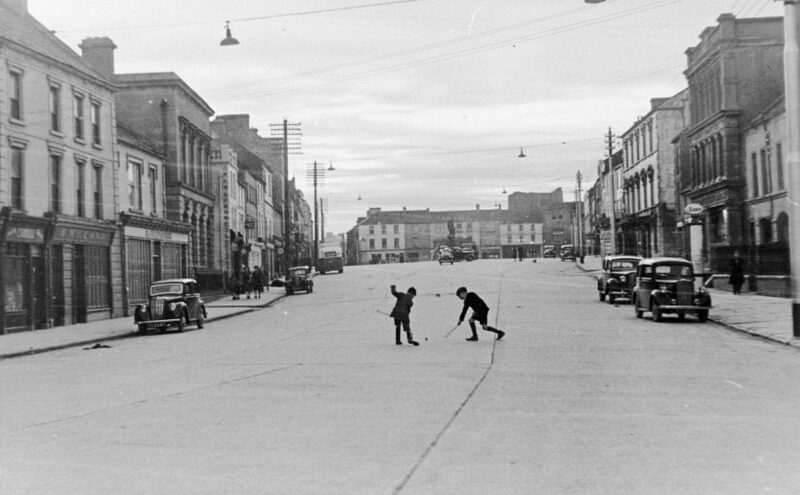 Thurles is rapidly increasing in wealth and importance, and a unanimity and good will exist between all classes of society rarely to be met with. Sessions are held here twice a year, besides weekly petty sessions, at which the resident and neighbouring magistrates preside. The ruins of the famous abbey of Holy Cross are distant from Thurles three miles on the road to Cashel; they are of the most beautiful and interesting description.The account we have of the origin of this monument of antiquity, is, that Murtough, monarch of Ireland, and grandson of Brien Boru, having received from Pope Pascal II, in 1110, a gift of a piece of the Cross, covered with gold and ornamented with precious stones, determined to found a monastery, and dedicated it to the Holy Cross, which he began but did not live to finish. 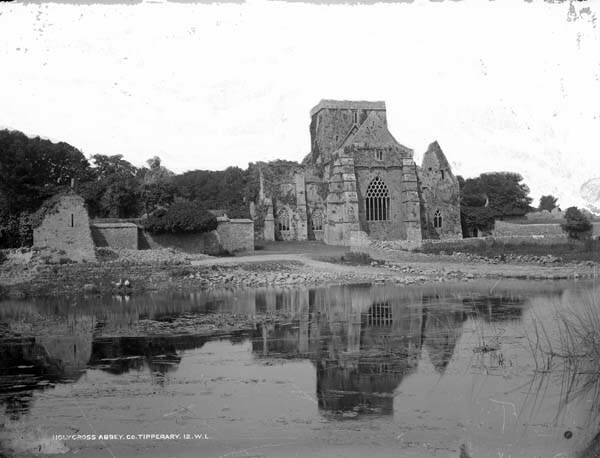 Donald O’Brien completed the church and abbey in 1169; he was king of North Munster, and his monument is still to be seen. This description is from the “Topographical Dictionary of Ireland” by Samuel Lewis 1837. 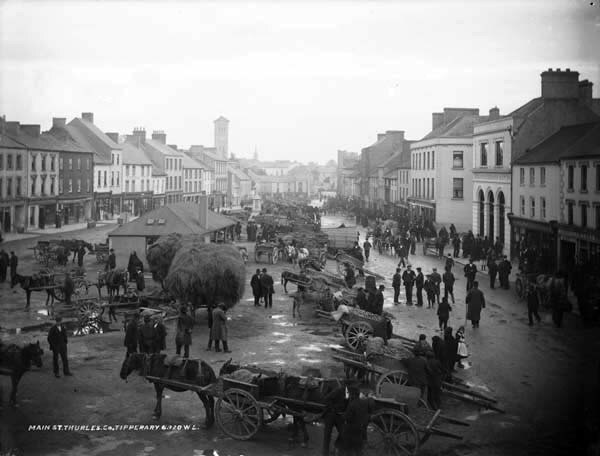 “Thurles is a market and post-town in the province of Munster, 24 3/4 miles north from Clonmel and 75 miles south west from Dublin, on the road from Tipperary to Templemore; containing 10,031 inhabitants, 7,084 of which live in the town of Thurles. This place originally called Durlas–O’Fogarty, (Durlas is Gaelic for fort) is of great antiquity and in the 10th century was the scene of a memorable battle between the Danes and the native Irish. 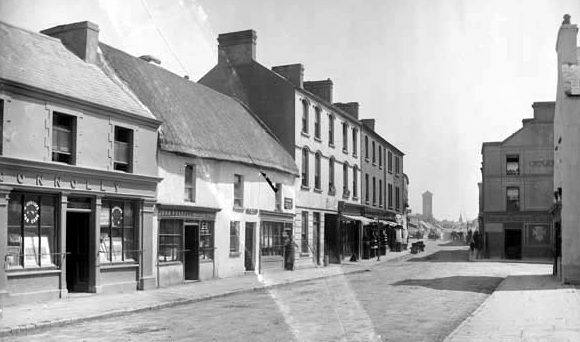 The town is pleasantly situated on the banks of the river Suir, by which it is divided into two nearly equal parts, connected by a low bridge and consists of one spacious street, from each extremity of which smaller streets diverge in various directions. In 1831 it contains 1210 houses. The surrounding country is extremely fertile and the town is the commercial centre of a populous and highly cultivated district, and is rapidly increasing in wealth and importance. 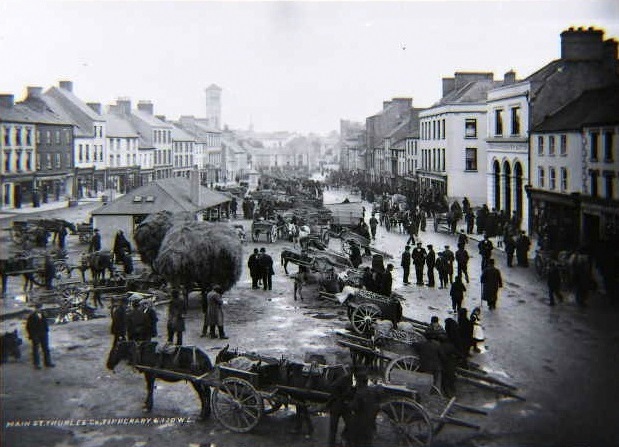 A considerable trade is carried on in corn, which is sent by land carriage to Clonmel: it has also excellent retail trade, and contains a large brewery and a tannery.